History: He was named “Easy” for a reason – he is – easy going. Sometimes it seems like the bigger the boy, the more laid back. He fits that description. 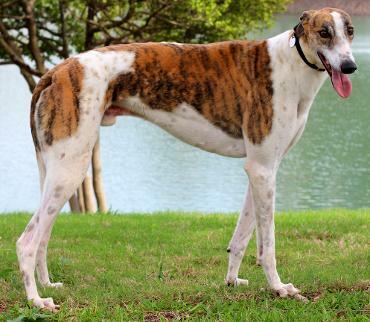 In addition, he is a large, beautiful brindle and white boy. 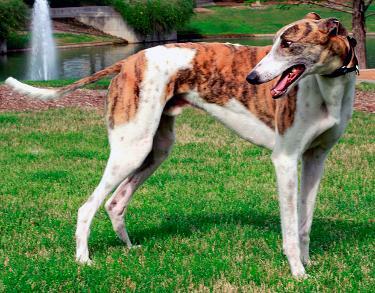 Both of Easy’s parents are CTW dogs, with dam, Pop a Wheely, being a Lonesome Cry dog, and sire, Plaza Rio, being a Flying Penske dog. Easy started and ended his racing career at Wheeling Downs. He hurt his hock and was sent back to the farm for rehabilitation. After his leg healed, they tried to see if he could run again but that was not to be for him. 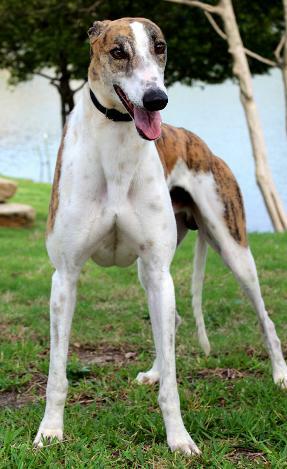 He is now permanently retired and ready to find his forever home. Easy, now Hobbes,and new mom, Laura. 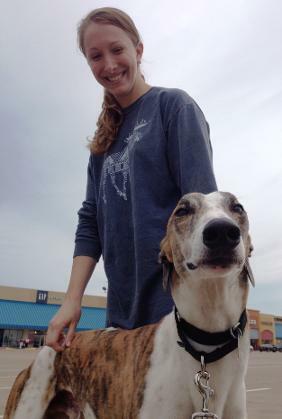 April 22, 2015 update: Easy, now Hobbs, found his lifetime home with Laura. Congrats to both!! 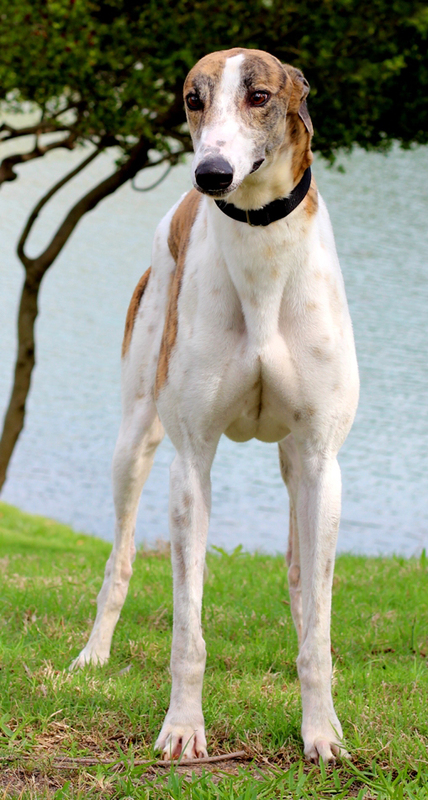 April 9, 2015 update: Easy came to TAGS for a life of retirement and to find his loving lifetime home.